Do you ever wish you could just spend a day relaxing by the pool at one of your favorite resorts? While some hotels allow non-guests to use their pool; many other hotels, mostly the upscale ones, don’t allow it. 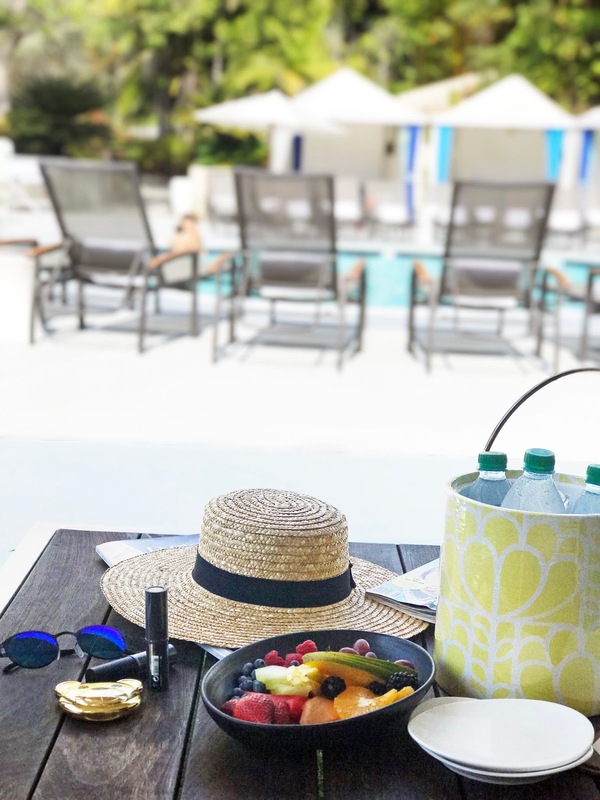 Living in LA, where it’s always sunny, a pool is something I wish I had – luckily I recently came across a new company called ResortPass. ResortPass offers day passes to gorgeous, luxurious resorts in several regions, including LA! As I work from home, I am always looking for any excuse to lay out by the pool. 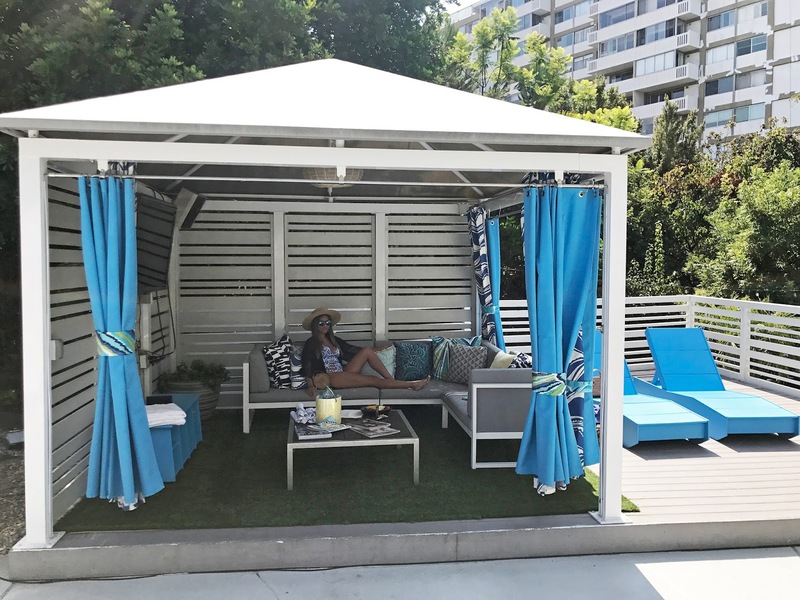 As summer is coming to an end, this was the perfect opportunity to soak up the last of the summer sun – so I planned a girl’s daycation at W Los Angeles in West Beverly Hills. 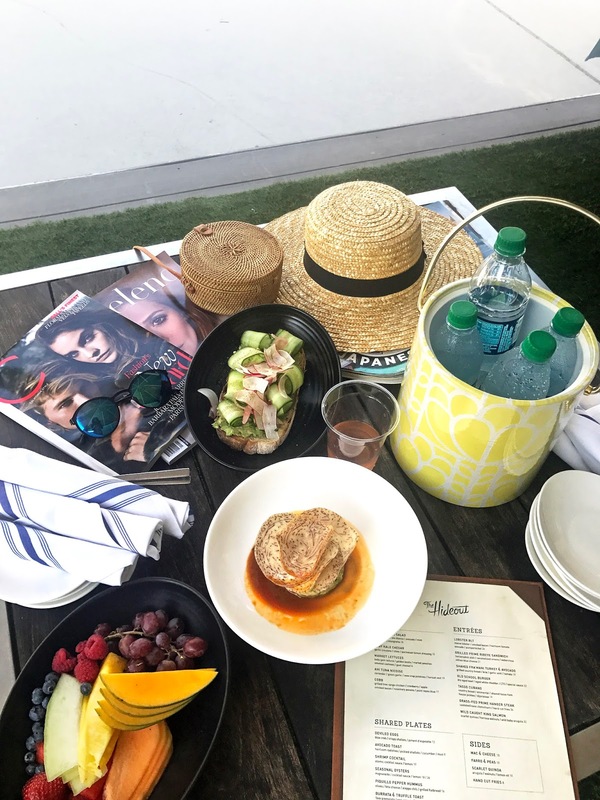 I have never been to W Los Angeles – it was a tossup between there and JW Marriott Santa Monica Le Merigot; but the W seemed like they had a nicer pool area for photo opps and I have heard many good things about this W location; I was super pumped! The entire hotel has a beautiful ambiance, very modern and chic. 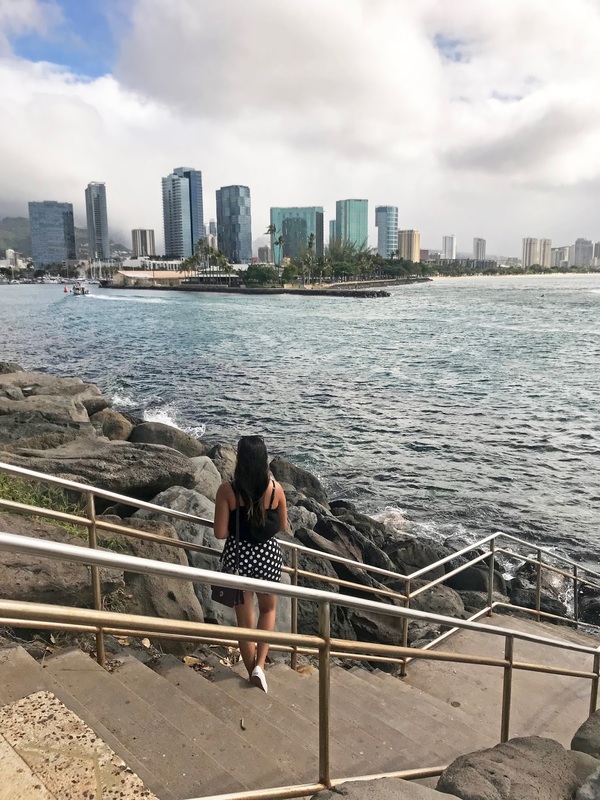 The check-in was super easy and Priscilla, the concierge, was really sweet and helpful. I actually had a massage prior to my daycation – which was amazing by the way. After my massage, I had walked down from the spa to the pool area, and it was a very pretty walkway. The pool area was just the way it was pictured and luckily since it was a random day of the week, there weren't many people there. 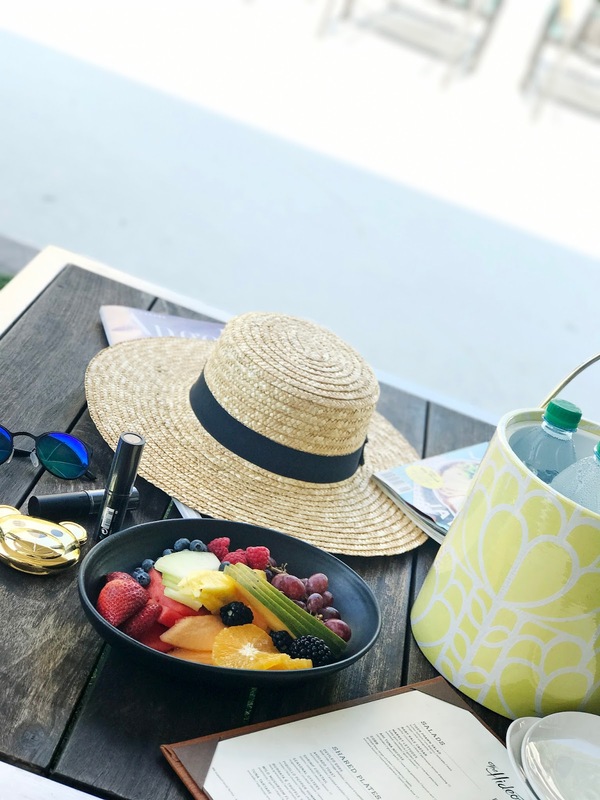 My girlfriend was already there, and was waiting for me at our cabana – which was such a nice touch to our girl’s day trip! So – it was such a beautiful day, the food was phenomenal; but the only thing I would have to say is the service kind of sucked. I don’t want to get into it too much, but they weren’t as attentive, I mean I get that it was a random Wednesday and nobody really was there, but it took them almost an hour to come take our order initially, then nobody would ever come by to check up on us. Also – side tip: if you decide to order their frose – make sure you like grapefruit. Though it doesn’t say it’s included in the menu, somehow grapefruit is in the mix. Anyway – I’d stick to normal cocktails or wines when ordering by the pool / bar. Overall, besides these minor mishaps, it was a successful girl’s daycation! The cabana life is definitely worth it if you want a private section for yourself otherwise laying by the pool isn’t so bad either. I really love the concept of ResortPass; it’s a great way to also explore new resort pools without having to actually stay there. So how does ResortPass work and what does it include? ResortPass is simple to use; head to their site, pick a location and hotel then book! You can choose between a day pass which starts at $25 and a cabana pass which starts at $200, depending on location and amenities. The day pass includes access to the hotel’s outdoor lounge pool, poolside cocktail and cuisine service and complimentary wifi. The cabana option depends on location. Want to try out ResortPass? Book your day pass here. Thank you to the ResortPass team for hosting me during my stay. All opinions, as always, are my own.